When you read “Today’s Woman: Life Balance Secrets” (2014) by Miriam Castilla, it is like having your own motivational life coach right by your side. Self-awareness, life strategies, and self-care are essential to achieving life balance, satisfaction and fulfilment. Castilla gives you a wide variety of tips on how to do it. Castilla, an entrepreneur and finance advisor, gets you thinking positive starting at chapter one as she has you determine what your definition of success is. She gives you a step-by-step method to help you visualize what it would feel like to be very successful. She explains her definition goes like this — “Success is doing all you love and loving all you do.” She helps you come up with your own. Castilla, uses the “Pinwheel Principle” as an analogy to demonstrate your need for a balanced life in order to be efficient. She describes the ideal “life pinwheel” to be balanced in these four areas: Body, Mind, Self, Others. She states keeping these areas in balance helps you take a holistic approach to having a well-balanced, amazingly satisfied and fulfilling life. Castilla also gets you thinking about your five core values and your three central ones. Momentum is gained as you define goals in chapter seven. Part three was most helpful to me, in that I was able to hone in on all those practical tips that help me focus on my goals. Throughout the book, Castilla injects her personal stories to help us understand how the strategies apply. She helps you think about concepts in a different way. For example, in terms of a bucket list, she tells you that she “fills up her bucket” versus strokes things off the bucket list. As another example, she advises you to not be so hard on yourself for being efficient at what you do. I particularly enjoyed the section called, “Run Away to the Circus” and the need to have a “crazy sh#t friend!” As part of the “Feed Your Soul” teachings, she tells you about all her adventures and it is very amusing and thought-provoking. Any professional woman will find this book comforting and motivating. 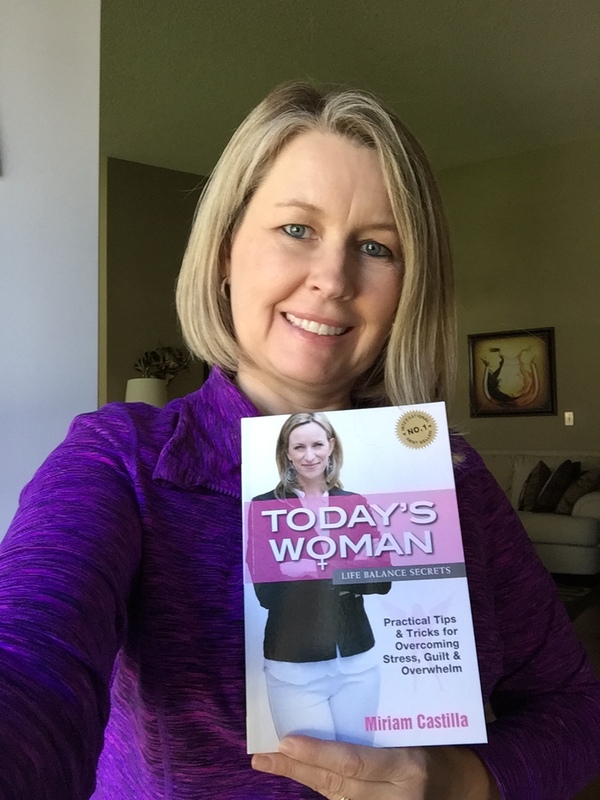 “Today’s Woman: Life Balance Secrets” is a delightful, inspiring read. I look forward to reading this book !